Dependency Injection (DI) is a software design pattern. It allows us to develop loosely-coupled code. How does it do that? DI reduces the hard-coded dependencies among your classes by injecting those dependencies at runtime/compile time instead of design time technically. Thus it reduces the tight coupling among different software components. It also helps in improving the code readability and testability. 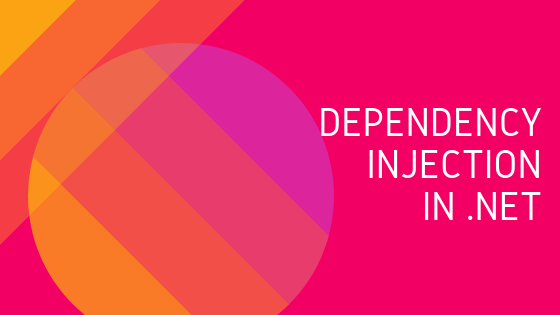 Now we know that there quite a lot of advantages using Dependency injection, lets go ahead and identify how many different kinds of Dependency injections are there and how do we go about implementing them. This is most commonly used dependency injection pattern in object oriented programming. The constructor injection normally has only one parameterized constructor, so in this constructor dependency there is no default constructor and we need to pass the specified value at the time of object creation. We can use the injection component anywhere within the class. It addresses the most common scenario where a class requires one or more dependencies. You cannot control when the dependency is set at all, it can be changed at any point in the object’s lifetime. Using Dependency injection like the scenarios mentioned above gives you flexibility and loosely coupled code, better control to write API testing or unit testing and makes the code cleaner and understandable.